Regular roof maintenance will help you make sure that your home has adequate protection from harsh weather conditions. Unfortunately, it might take too much time and effort, even if it is only twice a year. If that’s the case, you’ll need the services of the trusted roofing professionals: Rogers Roofing. Professionals have greater experience in detecting weaknesses in your roofing system. We know where to look during home inspections and how to determine if your roofing requires repair or replacement. As an experienced roofer in Chicago, we can conduct maintenance for both residential and commercial roofing. When we arrive at your place, we will check your roofing and give you a detailed assessment of its overall condition. We will then give you a complete report to help you make an informed decision regarding your roof. This will assure you that we can prevent any unexpected costs in the future. In the event we assess that your roof needs replacement, we have products that can withstand strong winds and fire. These are also low-maintenance, which means you do not need to spend too much time and money on maintenance costs. These can also ensure protection for a long period, even during severe weather conditions. In addition, you can choose from a variety of colors and textures that will improve your home’s curb appeal. Warranties that come with your roofing can be revoked due to faulty workmanship and maintenance. 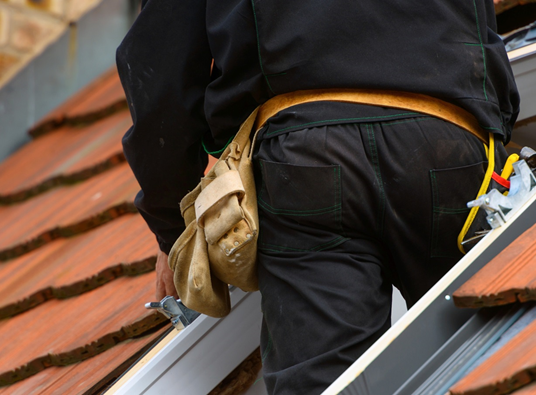 It is essential to employ the services of roofing companies in Northwest Indiana, such as Rogers Roofing to make sure that you retain these benefits. As a certified roofer, we follow acceptable roofing installation procedures to be sure that your roof retains its warranties. Before a contractor can legally operate in a specific state, they will need to get a license. This is an indication that the contractor has knowledge and experience in the field of their expertise as required by the state. They should also be fully insured, so you won’t have to take the blame in case of an accident in your property. With Rogers Roofing, you have the assurance that working with us guarantees excellent results. You do not have to settle on doing things on your own. At Rogers Roofing, you can be certain that we will address your concerns efficiently. For more information about our services, call us today.